Here is an arrangement I made a couple weeks ago. It was supposed to be for mothers day but my girlfriend liked it so I put it over the kitchen sink and made another one. Next time I'm over I will snap a pic of mom's. The Lowes here has a bunch of new varieties. I'm experiment with trying to get the leaves to that fall off to grow into new plants. Very nice and thanks for sharing, guys. 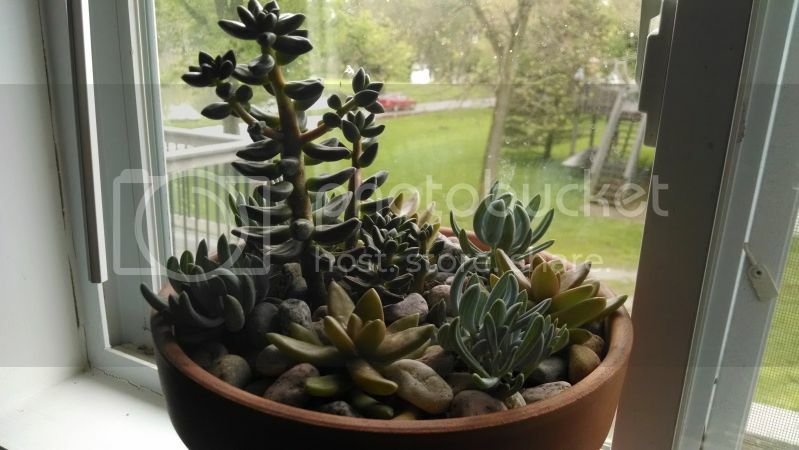 I love creating my own pots of various succulents too. Yours is very nice, Rairdog. Here's most of mine. Nice succulents everyone! You gotta love them! 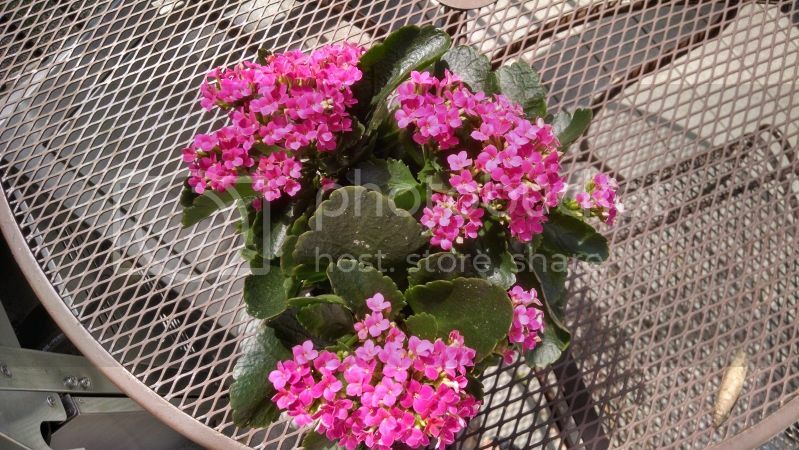 Kalanchoe blossfeldiana with wax Begonia. Lithops are cool. Here is the pot I made for mom. That's attractive, Rairdog. What are they called? Sweyn wrote: That's attractive, Rairdog. What are they called? 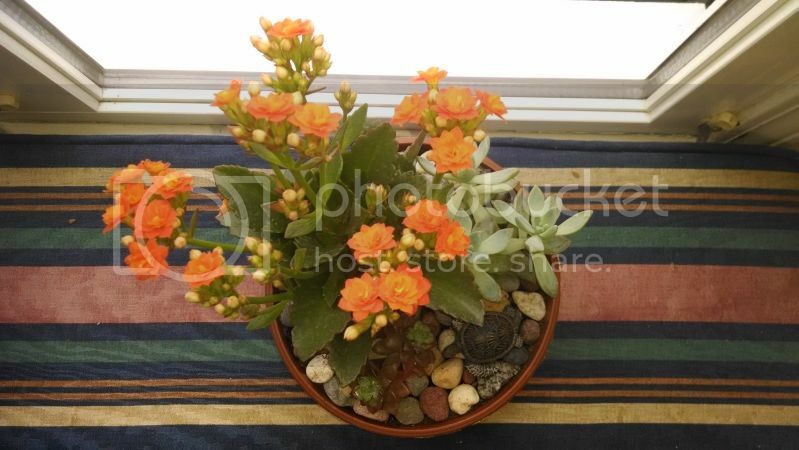 Kalanchoe. My GF liked it so much we went back to the succulent section in the BBS and looked for more but they were out. We then went to the fresh flower section in Meijers and they had all kinds of them. I thought they were only in orange but it turns out they had red, purple and pink in various shades(hybrid). We picked up a purple one. They seem very easy to grow and flower for a long time. 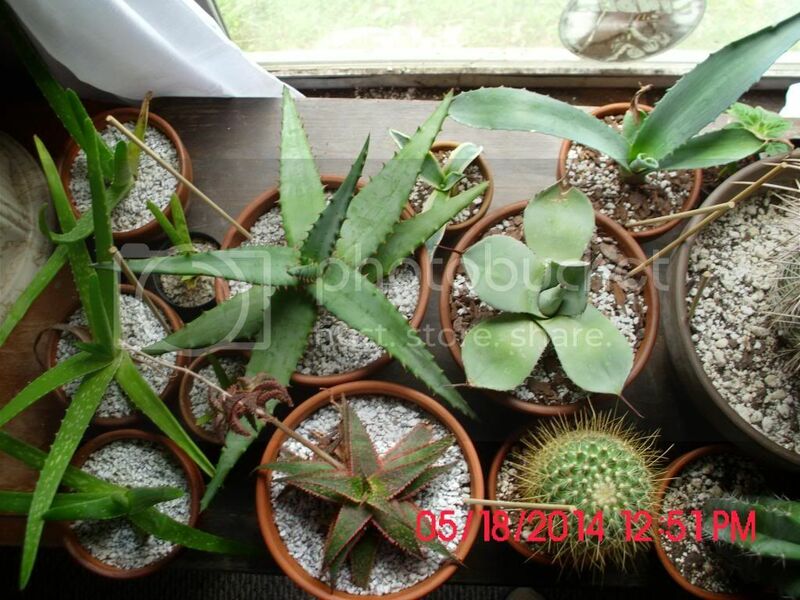 Supposed to be easy to propagate and hardy zone 8-10 I belive(nothing under 32). Here is the purple. They look good. Do you treat them like cacti? 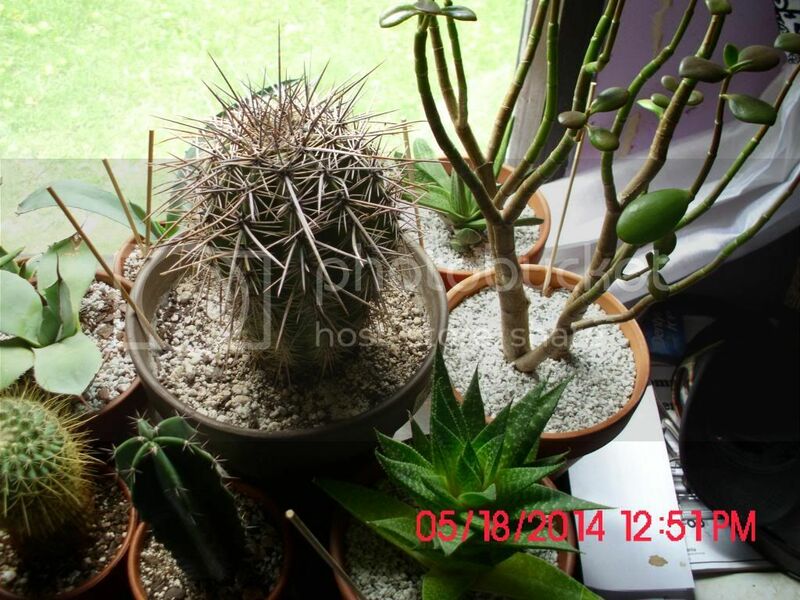 What is the paler, smaller plant on the right side of the pot? I noticed the turtle in there. That's a nice touch. Sweyn wrote: They look good. Do you treat them like cacti? I am just learning. IMO these succulents need more water than cacti. I probably don't know what I'm doing but if you give them course drain-able soil/rock mixture and water each plant according to their needs it seems to work out. If they show signs of crinkling at the lower pups/leaves I water them individually. Truthfully I just pick out the ones that make a good arrangement and hope for the best. I don't know most of the names. For me it's just reading the plant and trying to figure out what it needs. I like your approach, Rairdog. After many years of trying different plants, I've learnt that it's important to pay attention to individual plants and respond as they develop and change. It's possible to learn a lot from other people but, you need experience as well. Plants don't always grow exactly the same way, for everyone. I like Kalanchoes but, had not considered them until now. It's nice to choose whichever plants appeal to you and learn as much as possible about it. 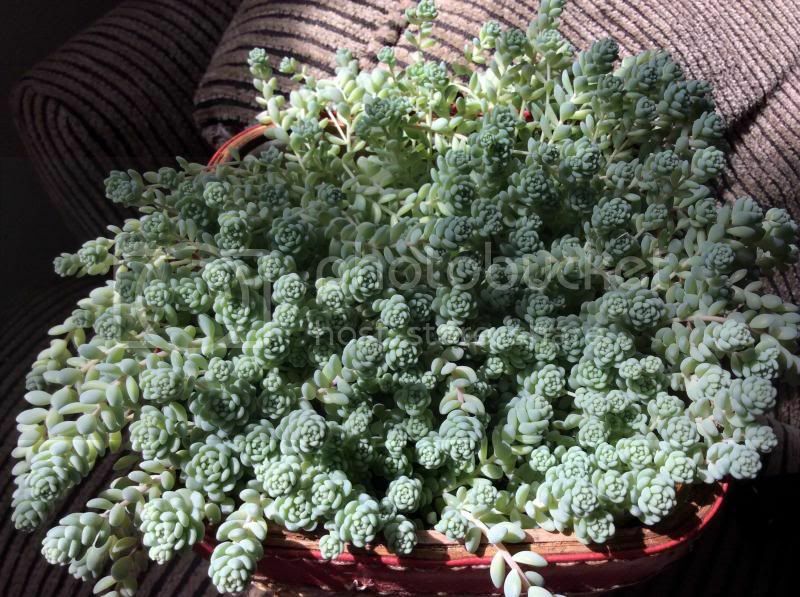 Lots of beaautiful succculents everyone! HollyberryLady - I especially like your burrito. I haven't seen those before!